Finally! The agony of homebuyers has been heard by the government. 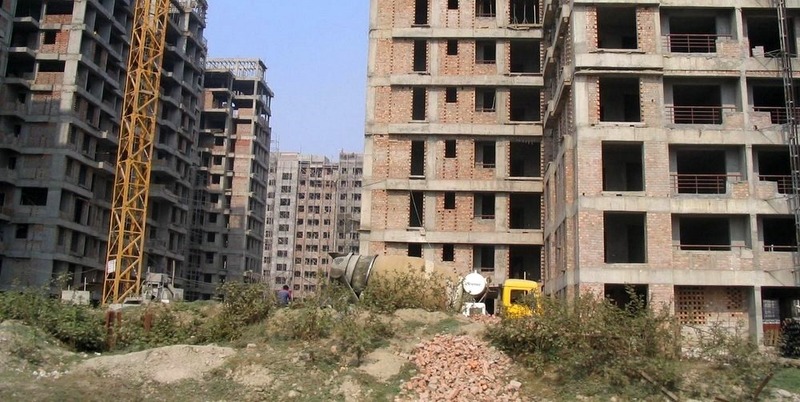 Going forward, for any delay in handing over possession of the property to the buyer, the real estate company will have to pay 11.2 per cent interest on the principle amount paid by the buyer. The draft rules have also discussed various issues on the real estate delayed projects but the highlight of the draft would have to be the payment of 11.2% interest. Almost as high as 90% of the real estate projects in India move at a snail’s pace making the waiting period for homebuyer tormenting. Most real estate companies offer a maximum of 6 month delay on paper via the agreement but almost 90% of them still don’t get completed even after a year’s delay. 95% of the purchase of homes are funded by home loans and as expected, the bank interest rates need to be paid, whether or not you have moved into your new adobe. This leaves the home buyer in a soup wherein he is sandwiched between the famous real estate delay and the bank interest rates. Also another thing to note is the helplessness of the home buyers who pay lakhs of booking amount for a project that take years to start, but of course the home buyer is kept in the dark. Also if the home buyer insists on the withdrawal of his money, it is paid after deducting some amount for no fault of the homebuyer and if the aggrieved asks for justice, the big hefty builders simply ask them to fight it out in the court ( which is generally not possible for a common man). The newly drafted rules are highly beneficial to the home buyers. A large percentage of real estate projects take off really late and the completion is unpredictable. So the government, as per the draft rules, without the completion certificate will have to register under Real Estate Regulatory Authority which will be set up in all states and Union Territories within 3 months of the notification of the draft rules. The real estate companies will have to disclose the expected/estimated tenure of the project, the number of flats proposed, the intended facilities, the approval certificates from other ancillary government departments, the licenses etc. The draft rules which after being notified will accompany the Real Estate (Development and Regulation) Act, 2016. The interest rate is to be at 2% above the Prime lending rate of State Bank Of India. The rules state that any deviations from the agreements like any postponement of the project, alterations to the prior approved apartment designs like change in layout, cancellation of some promised structures or addition of some unapproved structures will require 70% of the allottee’s consent. If the consent doesn’t come through, then the registration might be cancelled. All that we can really hope is to see the new regime come to life soon. "Home Buyers Rejoice! Govt to Make Builders Pay 11% Interest For Delayed Projects! ", 5 out of 5 based on 2 ratings. Phew! Supreme Court Rejects the Petition to Ban WhatsApp in India!